A sunscreen milk that glides on easily and envelopes skin in an invisible veil, leaving it feeling as smooth as silk. 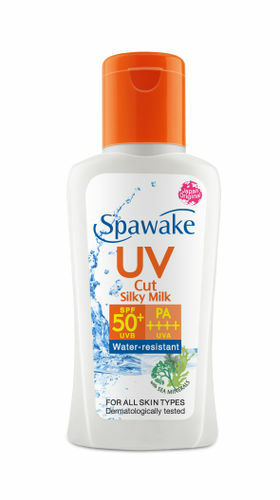 Spawake UV Cut Silky Milk is enhanced with SPF50+/PA++++ to protect skin from harmful UVA/UVB rays that cause skin darkening and dark spots. Explore the entire range of Body Sunscreen available on Nykaa. Shop more Spawake products here.You can browse through the complete world of Spawake Body Sunscreen .